Big price reduction for quick sale. Stunning colonial on almost 1 acre lot in Wellington West! Gleaming hardwood floors, dual stair cases. Spacious kitchen with 42" cabinetry, granite counter tops, over-sized island. Upstairs luxurious master suit with sitting room fireplace, spacious master bath with dual vanities, soaking tub, walk-in closet. Finished basement with huge recreation room, exercise room, huge storage room, walkout stairs. 2-zone A/C. Large wrap-around deck off kitchen breakfast room. 3-car garage. A must see! 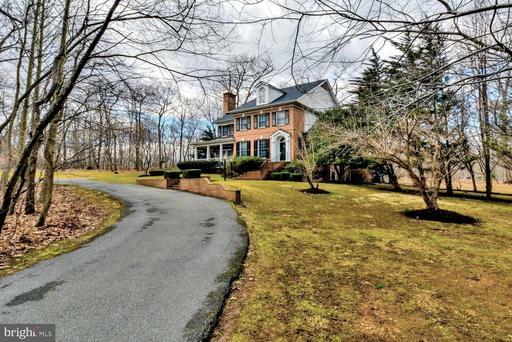 Beautifully appointed Waverly colonial with all the bells whistles. 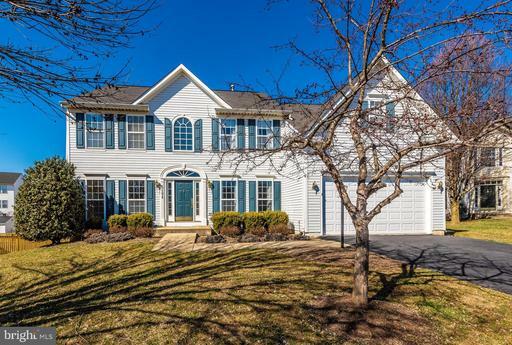 4BR/3.5BA; 2-story foyer; morning room addition; FR bumpout; 2-story stone FP; fabulous kitchen w/island, double ovens, cooktop upgraded cabinetry granite counters; fresh paint new carpet; formal LR/DR; dual staircases; 1st floor laundry, main level office; fully finished walkout basement w/exercise room; huge MBR w/sitting room super bath. Located at the end of a quiet cul-de-sac in Wellington Place, this beautiful four-bedroom colonial is a must-see! Enter into a two-story foyer with lovely hardwood floors flooded with natural light. To your right is a sizable living room, leading to a formal dining room with chair rail and large window. The adjacent kitchen features a center island, tile flooring, and dual wall oven. An inviting family room includes a gas fireplace. The master bedroom suite is spacious, with a dedicated bath with dual vanity, walk-in shower, and separate soaking tub. The remaining three bedrooms offer plenty of space and storage. Downstairs, a fully-finished basement is perfect for entertaining. It includes built-in storage, as well as pre-wired surround sound for a rec room or home theater. The large wood deck includes a built-in gas grill, and overlooks a generous, fenced-in backyard. Close to dining and shopping, with easy access to all major transportation routes. 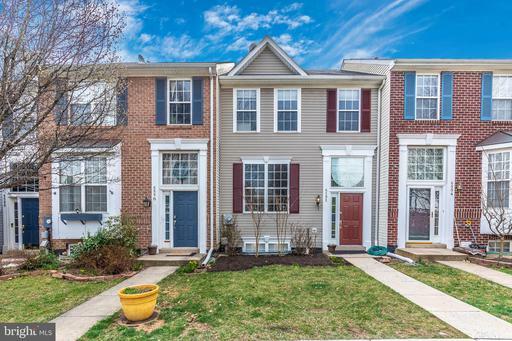 Immaculate all-brick, garage townhome in a quaint community that is walking distance to Main Street Bel Air. 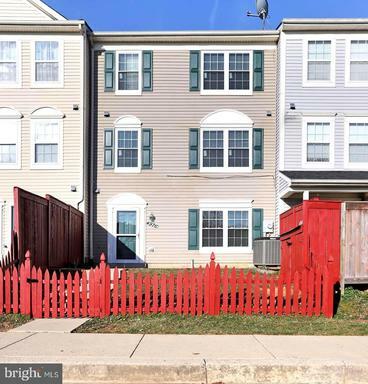 This 3 bedroom, 3.5 bath is spacious home is bright and spacious and features Newer wood floors 2019, Newer 2019 SS Appliances, Roof 10 years old, HVAC 8 years old, Newer 2019 granite counter tops back splash in kitchen, Main Level floor windows and doors have custom UV protection on windows to prevent fading of furniture, carpet, curtains as well as the 3 large sky lights in the loft are that would make a fantastic playroom, exercise or office space. The type of kitchen flooring is called Fusion Travertine. This home is Immaculate from top to bottom, move in ready and just waiting for you!!!! 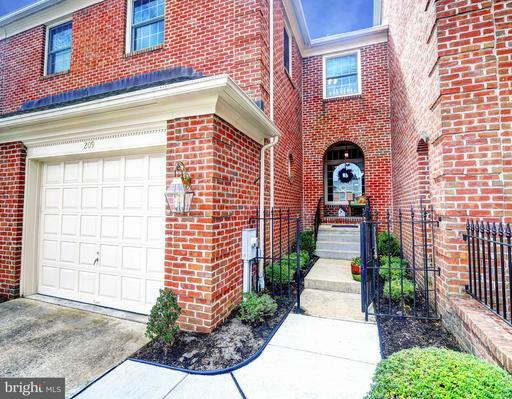 Immaculate all-brick, garage townhome in a quaint community that is walking distance to Main Street Bel Air. This 3 bedroom, 3.5 bath is spacious home is bright and spacious and features wood floors, crown molding throughout. 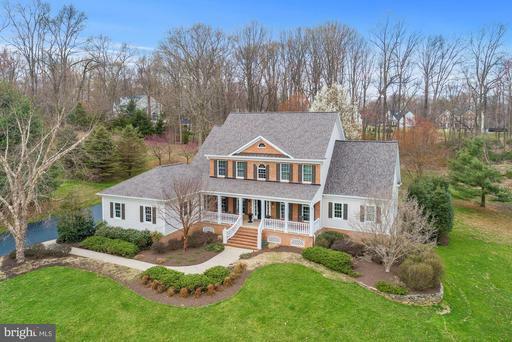 The stunning kitchen is newly remodeled and features ceiling height cabinetry, recessed and pendant lighting, glass tile backsplash, quartz countertops, stainless appliances, island seating and new wood floors - a cooks dream kitchen! The kitchen leads to a maintenance free composite deck and overlooks open space. Separate dining room with wood burning fireplace. Fully finished basement with beautiful built-in shelving, wood burning fireplace, wet bar with drink refrigerator and walks out to a private brick patio. The bedroom level features all new custom Anderson replacement windows and plantation shutters on all windows. Bonus space in the loft makes a great office, craft room or den and has built-in shelving and 3 large skylight windows. PACK UP THE BAGS, ITS TIME TO MOVE! !BEST VALUE IN THE NEIGHBORHOOD! SUPER 3 LEVELS TH LR/DR WITH HARD WOOD FLOORS. 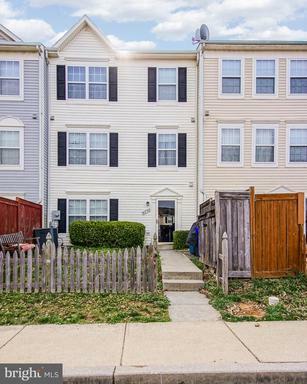 OPEN UPGRADED KITCHEN WITH GRANITE COUNTER TOPS AND SS APPLIANCES AND MORNING ROOM WITH HARDWOOD FLOOR.. 3 FULL BATHS PLUS1/2BATH MASTER BEDROOM W/ FRENCH DOORS, VAULTED CEILING. MASTER BATH WITH SOAKING TUB. SEPARATE SHOWER. LOWER LEVEL IS GREAT WITH ENOURMOUS BEDROOM AND PRIVATE BATH WALK OUT FINISHED BASEMENT!!! ALL WINDOWS HAS FAUX WOOD CUSTOM MADE BLINDS...PLEASE REMOVE SHOES. ! 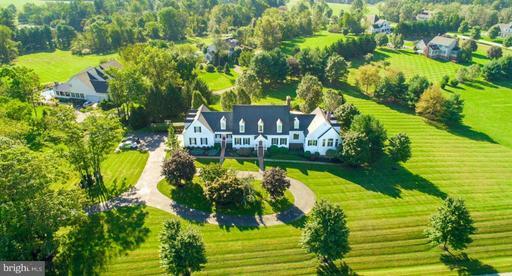 !2.5% CLOSING HELP TO THE BUYER!!! 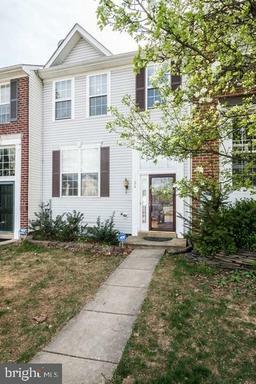 Nicely updated 3 level townhome, move-in ready! Main level boasts wood floors, large open living area and huge kitchen-3 level extension allows space for a dining room table and a comfortable kitchen with lots of space for cooking and entertaining. 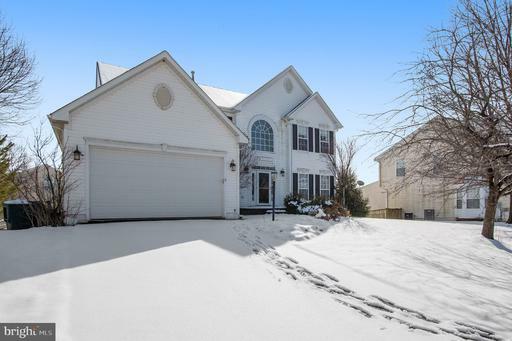 NEW CARPET throughout upper level with vaulted ceilings in large Master bedroom with luxury bath-room for King bed, fresh neutral paint throughout. 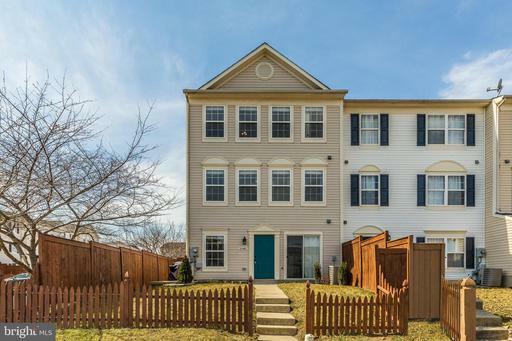 Lower level features all new carpet and fresh paint, fully finished family room with slider to fenced backyard, 4th bedroom with large closet/play area. This community features a swimming pool and property is in walking/bike riding distance to the elementary school. You wont be disappointed! 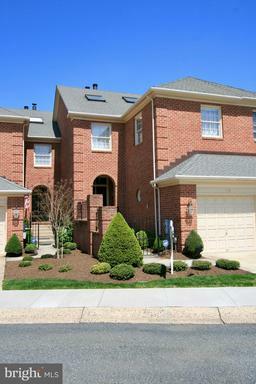 Move-in Ready 4 BR 3.5 BA townhouse in Wellington Trace. Wood floors on main level. Updated island kitchen including S/S appliances, granite counters, upgraded cabinetry with walkout to deck. Master bedroom with vaulted ceilings, bath, walk-in closet. Fully finished walkout basement with wood laminate flooring, family room, bedroom, and full bath. Washer/dryer. Fenced backyard with lower level decking. Enjoy community pool exercise room. 2 Reserved parking spaces. Convenient to commuter routes, shopping services. A beautifully remodeled town home in a quiet, highly desired neighborhood. The open plan features 3 BR -2.5 bath. Upgrades include New windows,New Carpet, New Luxury vinyl, New hot water heater, New Appliances. Community Amenities include Business Center,Car Care Station, Clubhouse, Dog Park, Fitness Center, Picnic Barbecue Areas, Playground and Swimming pool. A Must see home. Great location convenient to all major commuting routes! Townhouse located in Wellington Trace offers 3 bedroom, 2.5 bathrooms, and large master on upper level. All the big stuff has been done too! Brand new roof, HVAC 4 years old, Hot Water Tank 5 years old, Dishwasher Washing Machine 2 years old, Carpet Ceramic Tile 4 years old. Perfect for first time home buyer or investor! 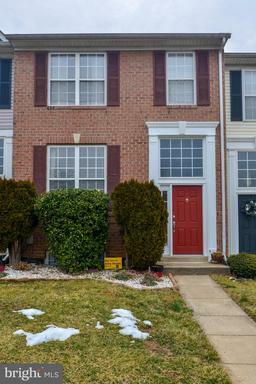 Welcome home to this beautiful 3 bedroom/2.5 bath end unit back-to-back townhome in Wellington Trace. Gorgeous main level flooring, custom paint, separate dining area, bright white kitchen with stainless appliances, granite counters + breakfast bar. 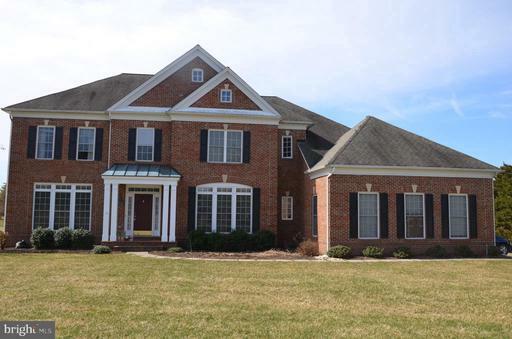 Huge upper level master suite with walk-in closet, attached bath + private loft area. Middle level includes 2 spacious bedrooms, additional full bath + laundry room/storage. Fenced yard, community pool, playgrounds and so much more! NO CITY TAXES!